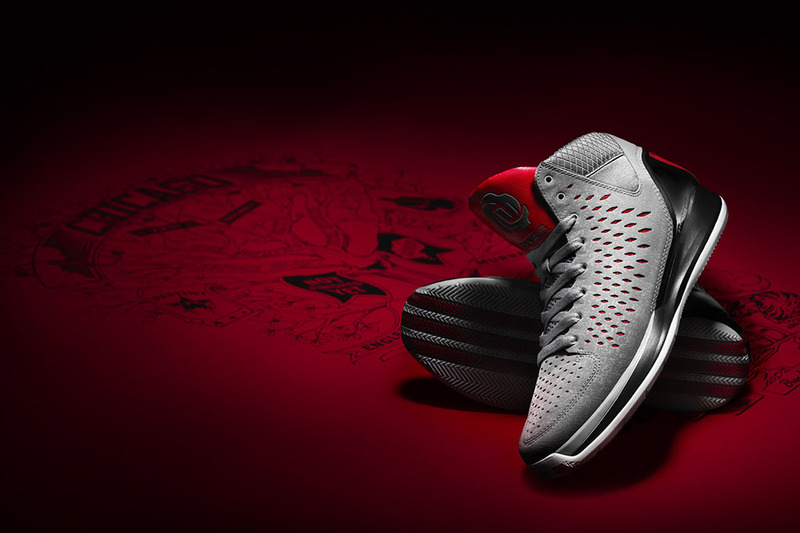 As promised, the stories of the new adidas D Rose 3 will be told through the use of unique colors, materials and graphic work. 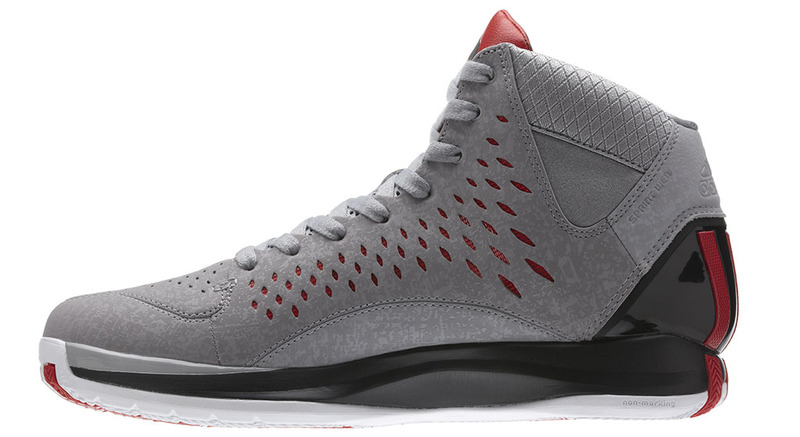 As promised, the stories of the new adidas D Rose 3 will be told through the use of unique colors, materials and graphic work. 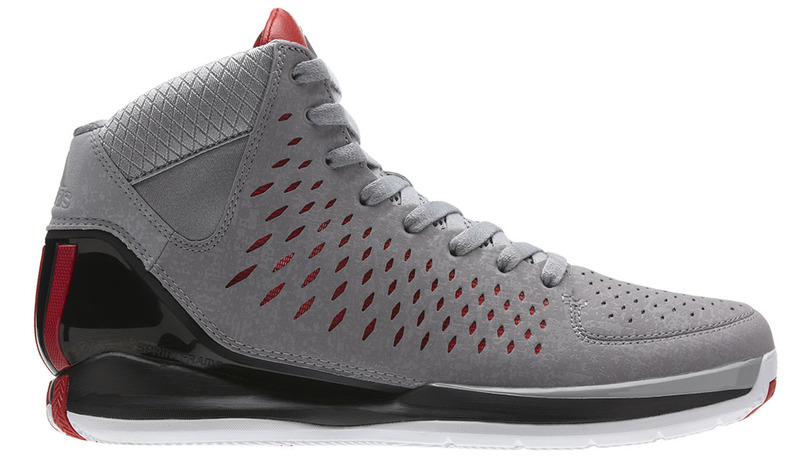 While the "Away" shoe features sleek black premium leather construction, the "Home" pair is decked out in textured Aluminum nubuck with a red mesh underlayer visible through breathable diamond-shaped cut-outs along the side panels. The new Rose logo is displayed across a padded red tongue in reflective material, while the 3-Stripes running down the heel are also done in menacing-looking red. The Rose 3 also brings back miCoach Technology, which means you'll be able to track your performance after adding a SPEED_CELL. 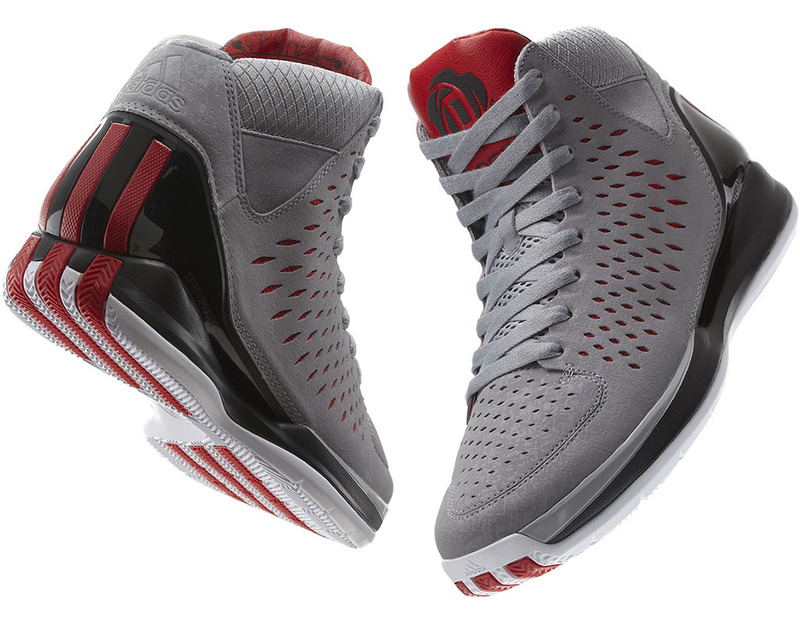 You can pre-order the Rose 3 in Aluminum now at adidas.com and Finish Line. Other retailers expected to carry to model include Eastbay and Foot Locker.